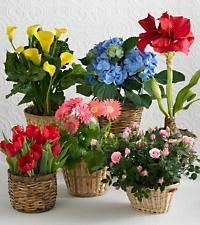 We offer an easy way to bring the beauty of a garden indoors with flowering plants and container gardens available at our Atlanta flower shop and through our website. There are a number of benefits to these indoor gardens, including a wide range of colors and designs, long-lasting beauty, and easy maintenance. These indoor containers add warmth and comfort to every room in a house and offer a way to change up your décor. 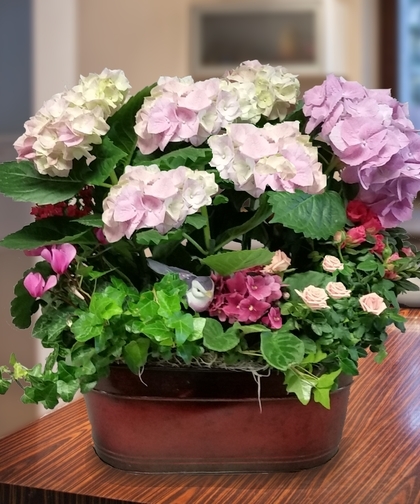 The Blooming Hydrangea Garden contains seasonal flowering plants and ivy in a décor container. The European Garden has a combination of flowering seasonal plants and indoor green plants. Various baskets are available for this display. 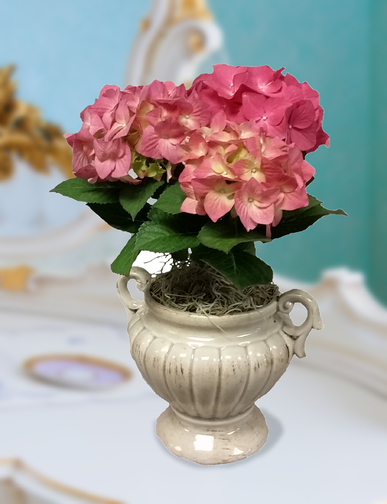 The Princess Pink Hydrangea Plant offers multiple blooms in a stunning pink color. The Sweet Bird Blooming Plant Garden is a very colorful display of flowering plants and green plants. The Premium Flowering Garden has greenhouse-grown blooming plants as well as green plants. It’s truly stunning! The Tabletop Plant Garden has numerous green plants along with a colorful blooming plant. We have a number of cute topiary gardens like the Ivy Bear Topiary in Azalea Spring Garden. It has an ivy bear topiary set amongst an azalea and hydrangea garden. Designer Choice—Best Blooming Plant is a great way to let us pick the best blooming plant for your gift or décor at a price range that fits your budget. Even better than all these gorgeous choices is the fact that the majority of them are currently on sale while supplies last. You can order these beauties by calling us, visiting our Atlanta flower shop location, or using our online ordering system. We deliver throughout the Atlanta Metro area as well. Memorial is a three-day weekend for some to enjoy things like the Atlanta Jazz Festival or the Decatur Arts Festival. For others, however, it’s a time of remembrance and reflection on those heroes in our lives that we lost in battle and war, fighting for our freedom. Each year, a big Memorial Day event is the Salute to the Troops in Stone Mountain Park held over the weekend just before Memorial Day on Monday, May 30th. The theme park will offer admission, a seat for the salute, and a laser show with music and fireworks. Roswell has the largest Memorial Day event in Georgia. It features stories from veterans, salutes, and speeches. You may also have a personal memorial planned with a visit to a gravesite or you are planning on sending some flowers of remembrance to a friend who lost someone in a war or conflict. 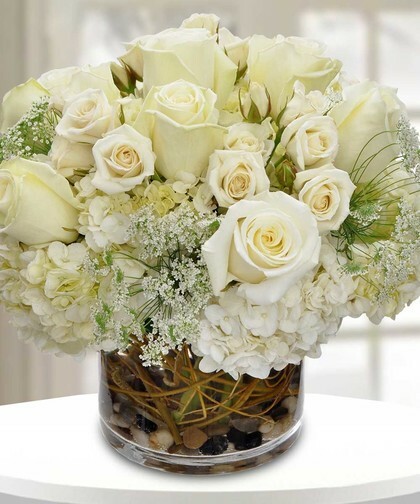 Whether you are planning for an event or sending a gift, consider our Atlanta flower shop the best place to pick up a flower arrangement, wreath, or bouquet. We have numerous patriotic-themed flower arrangements. 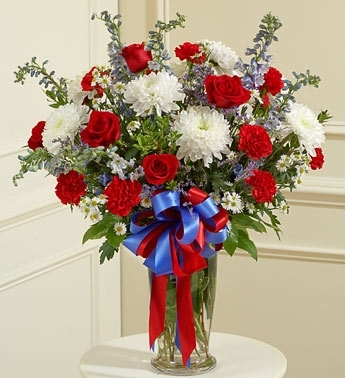 For example, the American Patriot Sympathy Vase holds roses, carnations, lilies, greenery and more in a vase. 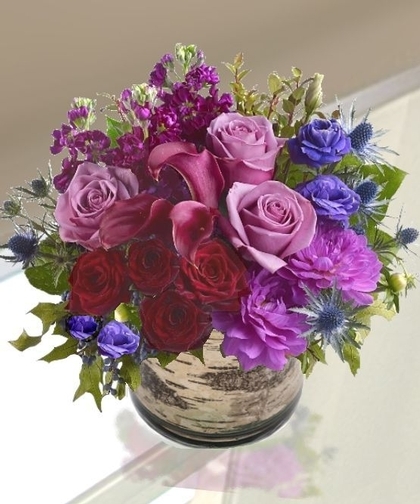 Another beauty is Elegant Celebrations, which includes roses, hydrangea, lisianthis and textured greenery in a glass vase. 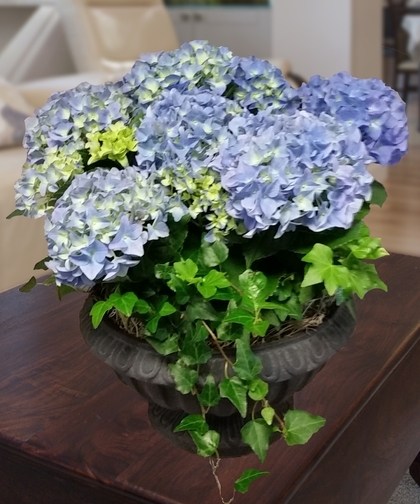 An alternative to consider is the Blue Hydrangea Garden Planter with Ivy that has two flowering blue hydrangea plans in a footed container filled with ivy. You can also work directly with our floral design team to do custom Memorial Day flower arrangements, wreaths, sprays and bouquets. All you need to do is call and make an appointment. Be sure to come into our Atlanta flower shop location, call us, or visit our website if you plan to order for the upcoming Memorial Day holiday and weekend of events. We also offer same-day delivery. We’ve been super busy this week between Teacher Appreciation Week and the upcoming Mother’s Day holiday on Sunday, May 8th. There’s still time to place your order this week plus available slots for delivery on Mother’s Day. 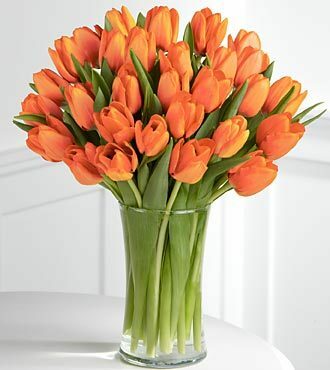 We do also recommend considering an early delivery date, leading up to Mother’s Day. Ordering as soon as possible will help you get that preferred delivery date. 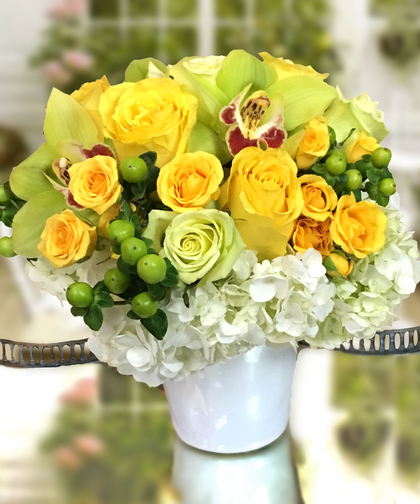 Our Mother’s Day collection is available online as well as in our Atlanta flower shop so you can check out some of the gorgeous floral displays we have created for those special moms, stepmoms, and mother-in-laws. 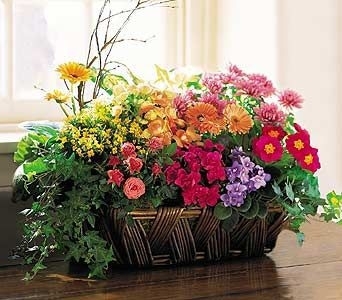 It includes a mix of spring and summer flowers, such as tulips, roses, hydrangea, lilies and more. And, within our Mother’s Day roses are our exclusive Grand Reserve roses, a true favorite among Atlanta Moms. We have all types of colors and available quantities. 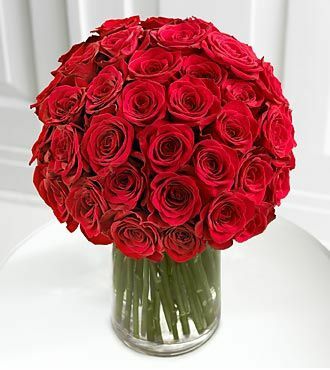 Just imagine your mom’s expression when you hand her a bouquet of over 100 roses. It’s truly jaw-dropping! There is a range of styles – modern to traditional to garden and pave designs – in a wide array of bright and pastel hues to suit different preferences. The wide range of price points also means that there is something for everyone. We have also added many types of vases and containers, including cubes, bubble bowls, tall glass vases, colored class containers, keepsake containers and baskets. New floral designs have also been included this year, providing even more incredible choices! Even better is the fact that a huge part of that collection for Mom is now on sale while supplies last. This includes our flowering plants, baskets, dish gardens, roses and special exclusive floral designs. 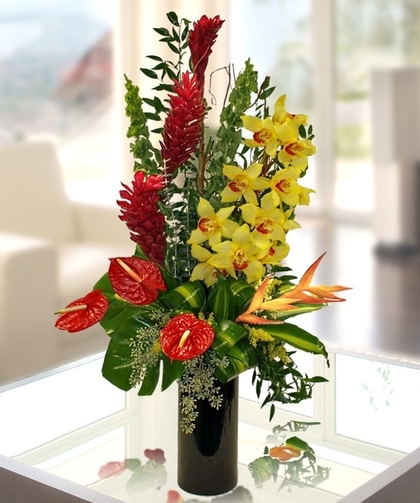 Additionally, our exotic flower collection comes with a 15% discount. Our Atlanta flower shop also offers other special gifts for Mom, including collectibles, greeting cards, special treats, balloons and more. We can even create something completely customized for your mom so she knows just how special she truly is. And, we would like to take this time to thank our own Moms for everything they have done for us. They work so tirelessly for everyone else that we believe they actually deserve more than one special day a year! Mom works hard for us all year round because she wants to take care of us. Now it’s our turn to take care of her with a special day planned each year known as Mother’s Day. This year, Mother’s Day is Sunday, May 8th, which means it’s time to plan her special day. Along with the day, Mom deserves some great gifts to show your gratitude. 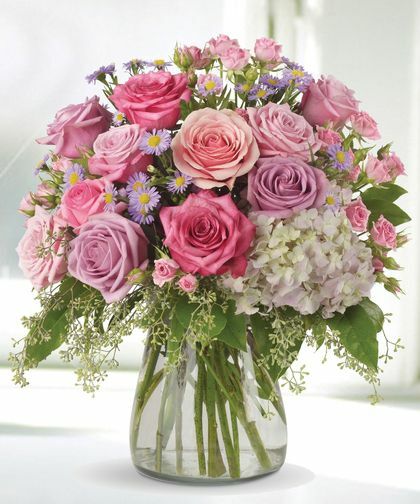 Pastel Beauty offers a lovely pairing of roses and hydrangea that will surely make Mom smile with delight. Citrus Garden is a mix of spring and summer blooms, offering bright colors and using our pave bloom on bloom floral design. 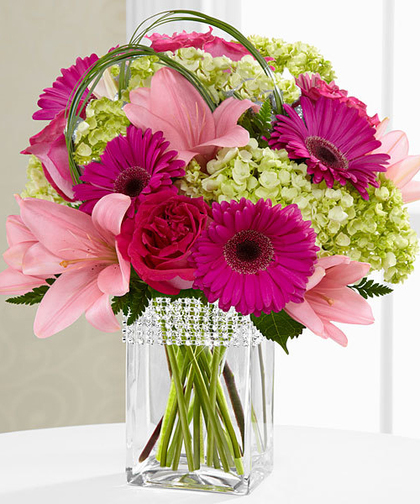 Broadway gives Mom a little bling with a jewel wrap for the vase along with pink gerbera daisies, garden roses, lilies and hydrangea. The Midtown Garden Design offers a range of premium flower varieties arranged in a European pave style and then presented in a glass vase. 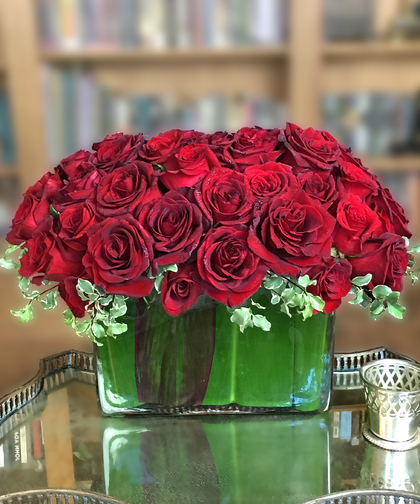 Moms love roses, and we have a wide array of rose arrangements for Mother’s Day, including our exclusive Grand Reserve roses as well as roses in multiple colors like red, lavender, white, yellow, pink and other seasonal favorites. 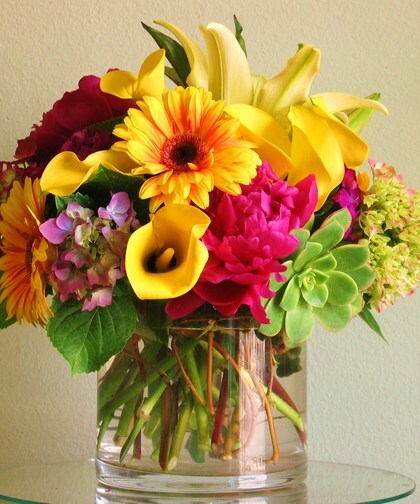 We are also offering a special discount of 15% off of our tropical flower arrangements while supplies last. 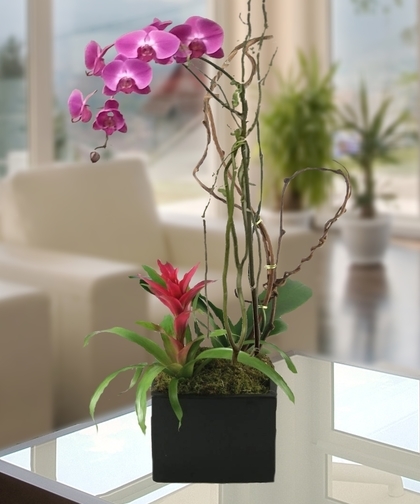 This collection also includes exotic flower arrangements that feature stunning orchids. 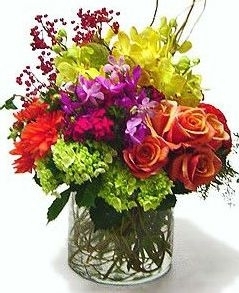 We also provide our custom flower arrangement and custom bouquet service for Mother’s Day. 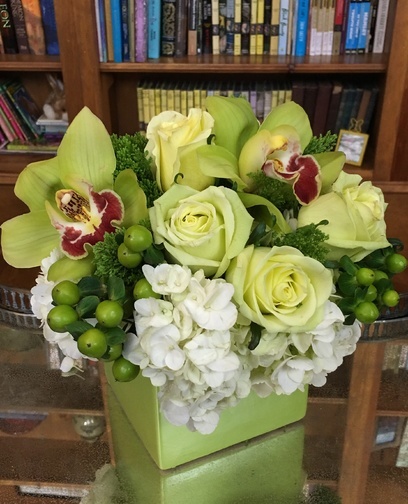 Just call our Atlanta flower shop to schedule an appointment with our floral design team. 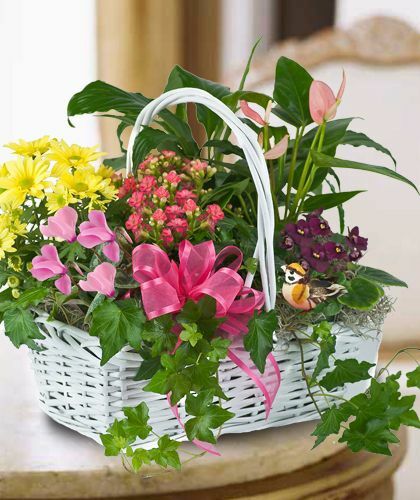 In-store and online, we also offer gift baskets, chocolates, and other special gifts that will treat Mom and complement a floral or plant gift. Our Atlanta flower shop also has greeting cards, collectibles, and balloons that are nice add-on gifts for Mom. Because this is our busiest day of the year, we recommend ordering now by phone, in our Atlanta flower shop, or through our website. We will be delivering on Mother’s Day but also recommend that you consider delivering one or two day’s ahead. 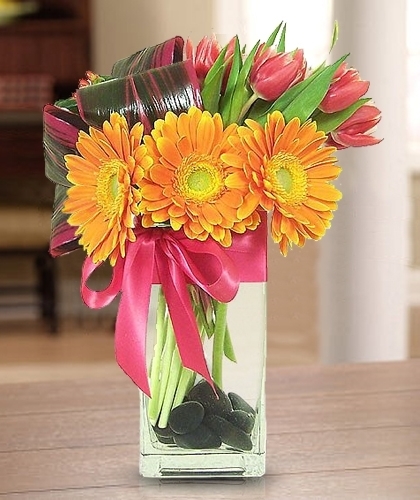 This will ensure your preferred delivery time and to surprise Mom with an early gift to turn the entire weekend into something special for her. Each year, a special time is set aside to recognize those talented individuals that work tirelessly to handle many of the small details and tasks that actually play a large role in how organized and productive a company and its leadership can be. Those admins who work in the office or virtually are dedicated to making sure everything is handled at the operational level so their bosses can focus on those high-level decisions. This year, we celebrate Administrative Professionals Week from April 24th to April 29th as well as Administrative Professionals Day on Wednesday, April 27th. This is a good time to let your admins know just how much you value their hard work and dedication. 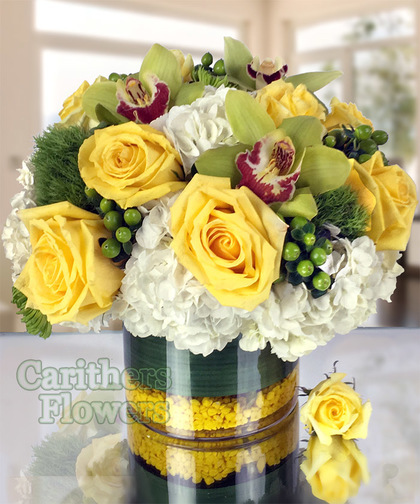 Nature’s Delight offers jade cymbidium orchids and roses, dianthus trix, garden hydrangea and green hypericum in a ceramic keepsake cube. 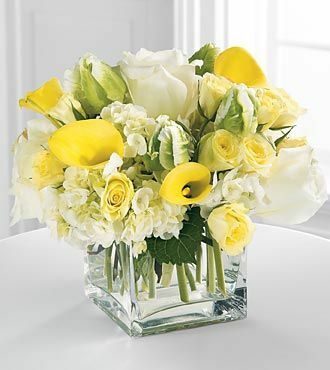 The Thinking of You Bouquet is a garden delight with roses, orchids, and hydrangea in a keepsake vase. 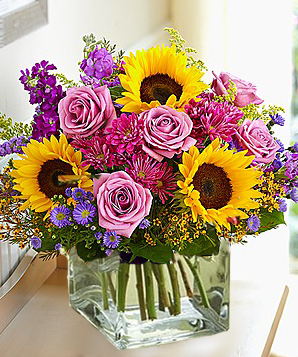 Joyous Sentiments is a unique arrangement from our Exclusives Collection. 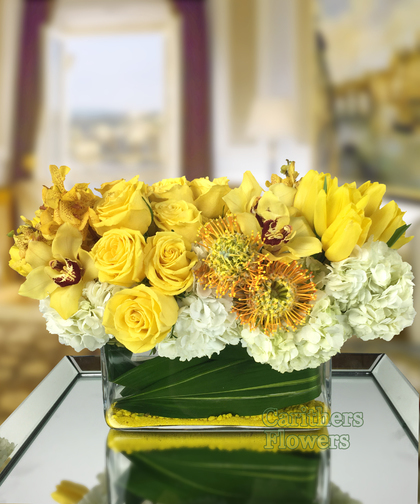 It has bright yellow tulips, orchids, roses and protea along with white hydrangea. It comes in a glass rectangle vase with aspidistra and matching yellow stones. 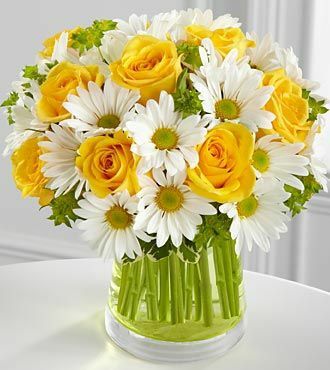 The For All You Do Bouquet has yellow roses and white spring daisies in a green glass vase. The Exotic Phalaenopsis Orchid with Tropical Bromeliad pairs two tropical flowers together for a long-lasting way to share your appreciation. 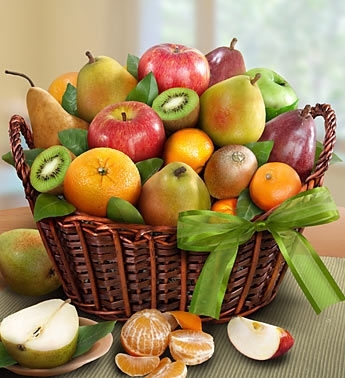 The Deluxe Orchard Fruit Basket is a great idea for a team of admins to share. They will love the juicy seasonal fruit like oranges, apples, kiwi, grapes and pears. We deliver throughout the Atlanta area as well as across the country. 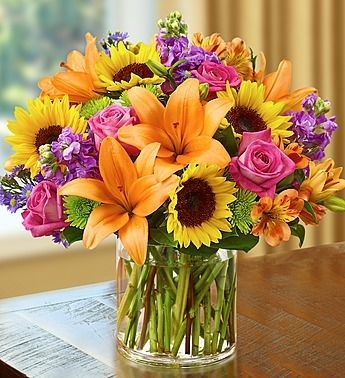 Just call our Atlanta flower shop, drop in, or use our website for fast ordering any time of the day or night.